Paper Papers: Usa Today. Breaking the mold again? 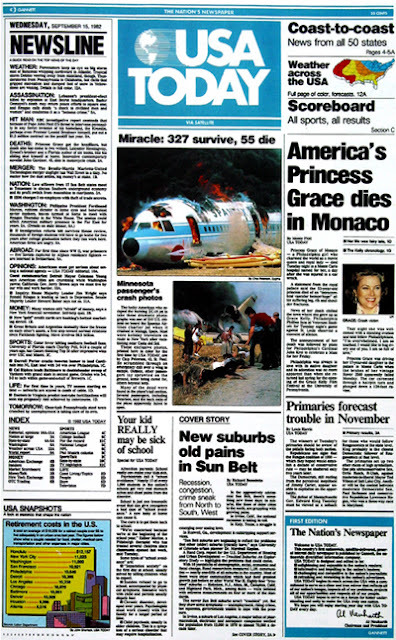 Thirty years ago, USA Today’s visionary founder, Al Neuharth, introduced readers to a new kind of newspaper, one that gave readers information they couldn’t find anywhere else – visual, clear, concise and unbiased. We devoted ourselves to our audience, delivering news from al 50 states. 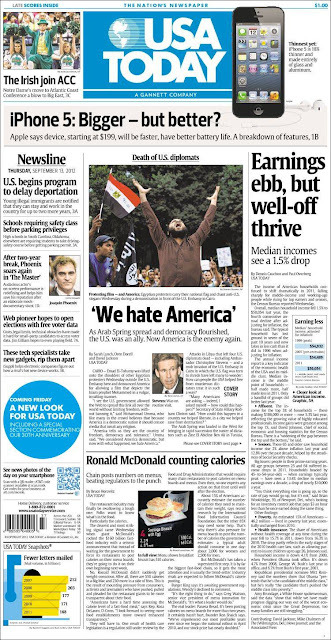 And we aspired to put all Americans on the same page, if only for a few minutes every day. Our mission, as Neuharth said on Sept. 15, 1982, was “to serve as a forum for better understanding and unity to help make the USA truly one nation.” That is still our mission. Now we are breaking the mold again by unveiling the next generation of USA Today. 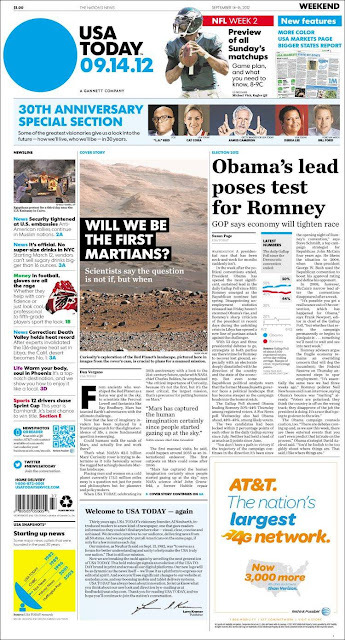 This bold redesign signals an evolution of the USA Today brand in print and across all our digital platforms. Our new logo will be as dynamic as the news itself — we’ll use it as a platform to express our editorial spirit. And soon you’ll see significant changes to our website at usatoday.com, and our booming mobile and tablet delivery systems. USA Today has always been about innovation. 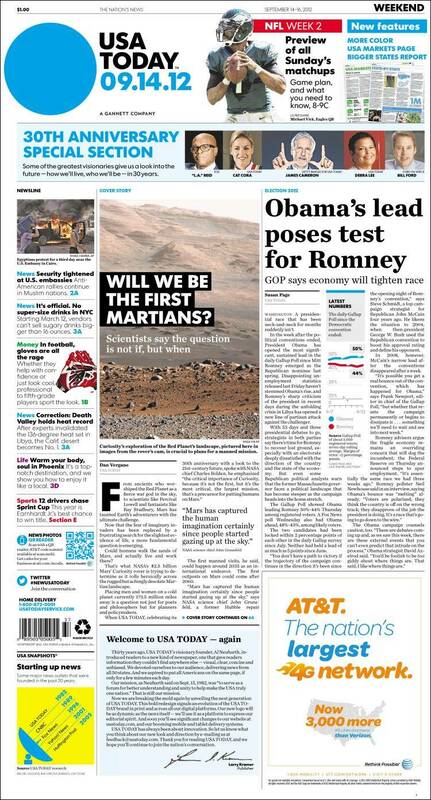 So let us know what you think about our new look and direction by emailing us at feedback@usatoday.com. Thank you for reading USA Today, and we hope you’ll continue to join the nation’s conversation. Aquí, en Quintatinta, opinan que lo único moderno de este rediseño de Usa Today es el punto azul. Ah, ahora entiendo: para la edición de hoy (por ejemplo), a 150 años de la Batalla de Antietam, el círculo celeste se transforma en la rueda de un cañón - en línea con el "cover story" del diario.